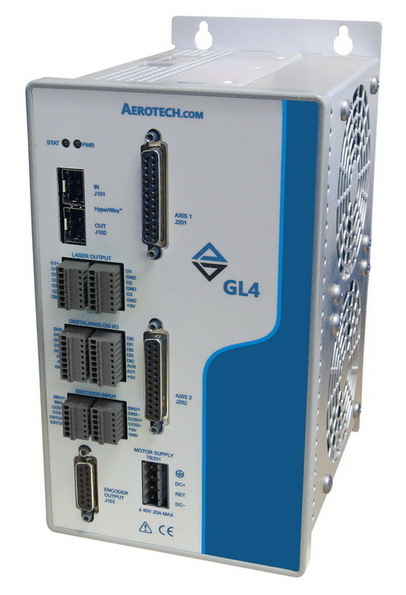 Aerotech's GL4 scanner controller is optimized for Aerotech's family of AGV scanners to provide industry leading settling times, long-term thermal stability, and micron-level tracking accuracy due to advanced features such as full state feed-forward, 192 kHz servo rates, and look-ahead-based velocity control. The GL4 uses advanced interpolation electronics to provide up to 26-bits of effective resolution while onboard real-time 2D calibration ensures accurate beam placement over the entire field of view. The ability to accurately place a laser spot as a function of X/Y axis position is a key feature of Aerotech's linear positioning tables for laser processing applications. With the release of the GL4, this functionality is now available for scanner applications. 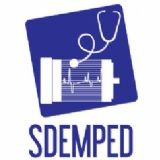 The ability to accurately trigger the laser as a function of position removes the need to program mark, jump, and polygon delays, resulting in reduced programming complexity. By using the Position Synchronized Output functionality, scanner-based processes can now be programmed in the same fashion as traditional X/Y stage-based applications.